Cleaning my house isn’t high up on list of fun things to do, and I really can’t stand the smell of regular detergents so I quite liked the multi-purpose surface cleaners on offer from Dettol. The Pine-scented cleaner still smells a bit detergent-y to me, but the citrus one is quite pleasant. It works really well on most surfaces, but I did struggle a little bit with marks on some of the bathroom fittings. The kitchen cleaner is absolutely fabulous though, it smells great, and works better on counter-top stains than bleach! The hand wash products are good value, have an anti-bacterial agent, and there are quite a few options to choose from. I liked the PINK and YELLOW ones. But the best option has to be the hand wash with the automatic dispenser – no touching the bottle, no getting dirty hands everywhere. I also liked the neat anti-bacterial hand-wipes in 2 sizes – mini (for your handbag) or regular (which you could keep at your office desk, at home or in the car). 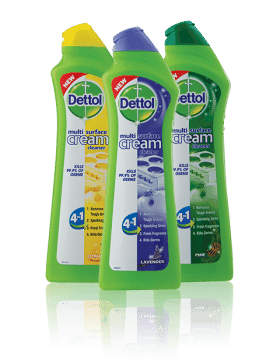 Overall I really like the Dettol brand, it’s familiar and with all the new products it still delivers on quality with a little bit of innovation thrown into the mix. 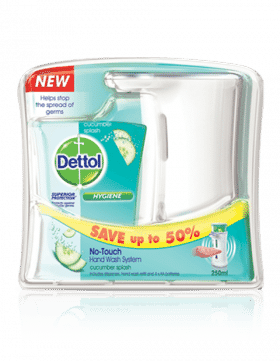 With Christmas behind us, and a brand-new year ahead, Dettol is giving away a hamper of their products to one lucky person. To win the hamper we’d love to hear your clean, new resolution for 2014.